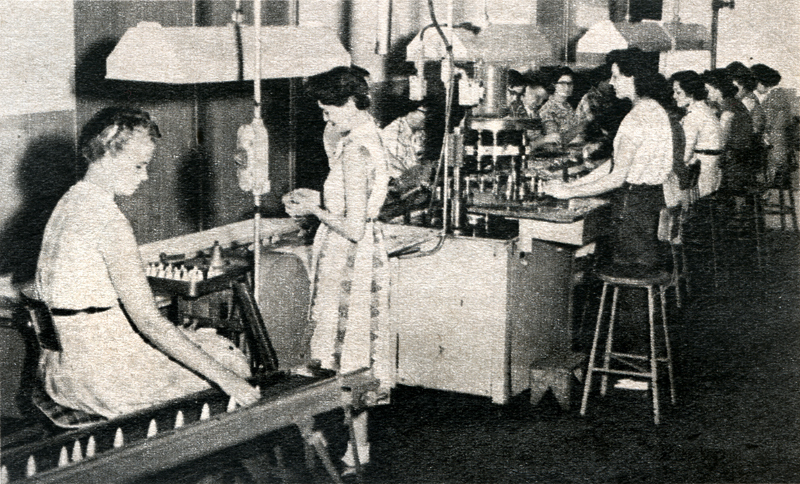 Women assemble fuses at the Bermite Powder Co. in Saugus, circa 1955. "One of the assembly lines at the Bermite Powder Co. plant in Saugus where, among many other explosives for the armed services, fuses for 40mm guns are turned out to meet military specifications." LW2552: 19200 dpi jpeg from newsprint, purchased by Leon Worden.